Am I A Candidate for Dental Implants Pasadena? Our Pasadena dentist’s guide to deciding if dental implants are right for you. Dental implants can restore your smile as well as your ability to chew and speak clearly. Dental implants feel natural and are virtually undetectable, matching the neighboring teeth in shape and color. However, many patients will often ask about what it takes to be a candidate for dental implants. Below are general guidelines for deciding if dental implants may be right for you. If you are thinking about implants, we encourage you to see our experienced dentist in Pasadena at Prestige Dental (Dr. Vasag Bouzoghlanian) for a complete dental implant examination. Suitable bone support: dental implants are fused to the bone for anchor support. This means that adequate bone density is required for dental implant success. Good overall health: the procedure for dental implants is a surgical procedure, so it is imperative that you be in good overall health. Healthy gums: your gums will support the dental implants while they fuse to the jawbone. Patients with periodontal (gum) disease may not have the adequate support needed for the implant to fuse. Commitment to oral care: Regardless of how or why you lost your natural teeth and need dental implants, it is extremely important that once you get the dental implants that you care for them properly while also scheduling routine cleanings and exams with our Pasadena dentist at Prestige Dental. Keeping healthy oral habits will ensure that your dental implants remain in good shape. Is there an age limit for dental implants? No. However, dental implants are not usually place in children as their jaw bones are still maturing and growing and as a result usually do not have the adequate bone density needed for dental implant placement. This does mean that adults of all ages in overall good health and after examination can benefit from dental implants. Are there any medical conditions or habits that will interfere with dental implants? Conditions like uncontrolled diabetes, severe cardiovascular problems, blood or bone problems (dyscrasia), or if you are undergoing cancer treatment procedures like chemotherapy or radiation therapy, may interfere with your ability to successfully receive dental implants. Additionally, habits like smoking or chewing tobacco are also strongly discouraged when getting dental implants. 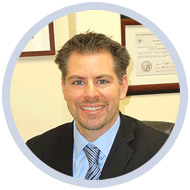 Our dentist in Pasadena (Dr. Bouzoghlanian) and staff are highly trained and qualified in dental implant placement. Even if you suffer from any of the conditions mentioned above that may interfere with dental implants, we encourage you to contact our Pasadena dentist at Prestige Dental to find out if dental implants are right for you. Dental implants can help bring back your sparkling smile, while you enjoy restored abilities of having a functional full set of teeth again. Call us today for your dental implant consultation at our comfortable dental office in Pasadena!